Hello Reader! Love Horror? How About Zombies? Now Add Arnold Schwarzenegger. Still Interested? I am and if you are to Check the news and trailer below. Maggie is a Horror Thriller with Zombies that Stars Action Star and some Times Comedy and and and Now diving into to drama horror Arnold Schwarzenegger. From the Trailer the film looks to be dark and Drama based at parts but then the fun kicks in with guns and Zombies. I feel the film will be a good watch. Check the trailer below and let me know what you think. 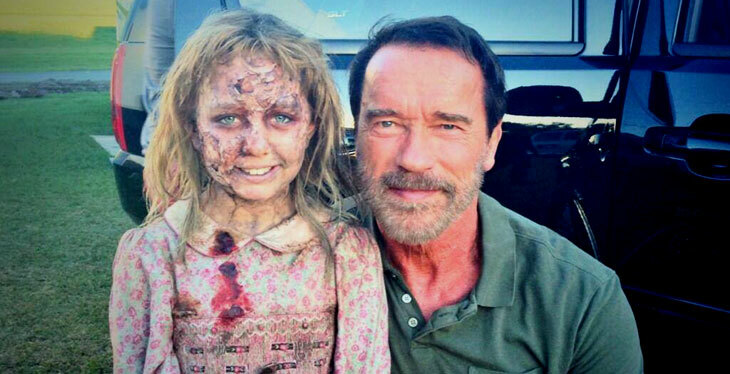 Maggie Stars: Arnold Schwarzenegger, Abigail Breslin, Joely Richardson and is due to hit Big Screens on April 22, 2015. Plot: A teenage girl in the Midwest becomes infected by an outbreak of a disease that slowly turns the infected into cannibalistic zombies. During her transformation, her loving father stays by her side.